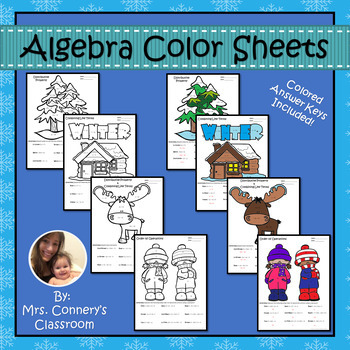 Have fun with basic algebraic concepts with these winter themed color sheets! Copyright ©Mrs. Connery’s Classroom, 2018. All rights reserved. 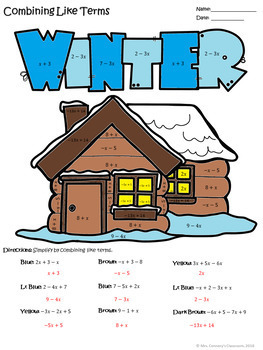 This resource is to be used by the original downloader/purchaser only. 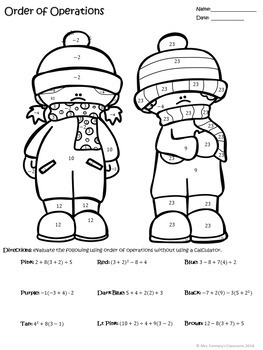 Reproduction and distribution of this resource for more than one teacher, classroom, department, school, school system, digital display, public view or commercial use is strictly prohibited. 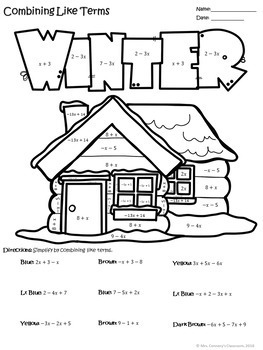 All elements of this resource are copyrighted and cannot be extracted and used outside of this file without permission or license. Intended for classroom and personal use only.